Graduation Hat Party Favors that your guests will rave about!!! My latest creation is these adorable graduation hat candy favors. They are a small plastic wine glass filled with chocolates in my son’s school color topped with a paper graduation cap that is complete with a mini tassel. If you are looking for ideas for graduation favors to make, these are super cute and fun to put together! I got the small plastic wine glasses to make these grad party favors at my local Dollar Store. They came in a pack of 6. You can also get find them in larger quantities on Amazon. 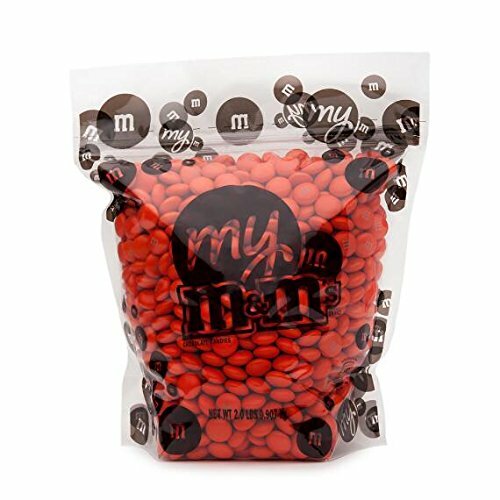 As for the candy, most party supply stores will have chocolate M&M-like candy in single color packs that you can use for filling these homemade graduation favors. These Graduation Hat Party Favors make great graduation thank you gifts for guests! Whenever you host a party, it is always a nice gesture to have a little thank you gift for all your guests – and a grad party is no exception to that. Graduation party favors for guests don’t have to be anything elaborate. You just want to give them a little something to let them know you appreciate them taking time to celebrate the special occasion with your family. 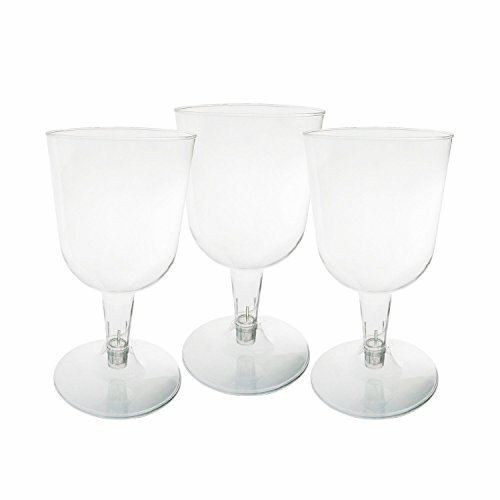 These wine glass graduation thank you favors are easy to make and are sure to be a hit with your party attendees. To learn more about any of the items or to purchase any of the supplies for these DIY graduation thank you favors, just click on the images below. Cut a piece of Basic Black cardstock into a strip measuring 9.5″ by 1.5″. Score the black strip at 1″. I used a scoring board in the picture, but there are paper trimmers that have a scoring blade built in that you can use as well. 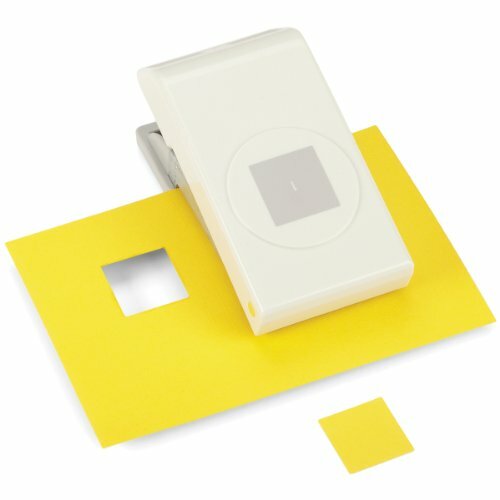 Use a 1″ square paper punch to punch out tabs. I lined up the top of the square with the score line and then punched. This will cut out rectangles. Move the punch over about an inch and punch again. Repeat this on down the strip. This will form the tabs that you will use to stick the mortar board to your hat base. Using the wine glass as your guide, form the band into a circle to make the graduation hat base. Press in on the seam to seal well then remove the band from the wine glass. Fold down the tabs inward the score line. Add adhesive to each of the tabs. Turn the hat base over and stick it to the middle of the black square that is going to be the mortar board. To make these graduation hat party favors more realistic, they need a tassel! Making a tassel is super easy with the Clover Tassel Maker. I made my tassels for these homemade graduation favors from baker’s twine but you could also use embroidery floss. Just be sure to use your school colors. Quick tip! You could also use these tassels on my graduation cap candy favors! After you have made your tassel, use a large needle or paper piercing tool to carefully poke a hole in the center of your cap. 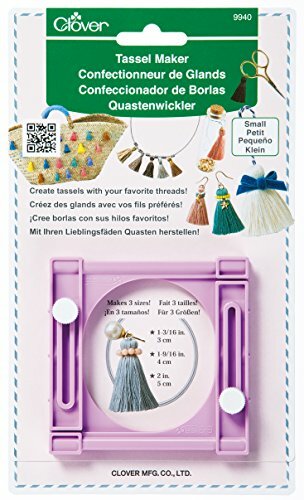 Use a flexible needle threader to pull the tassel hanger strands through the hole. Use tape to secure the tassel strands in place on the inside of the cap. 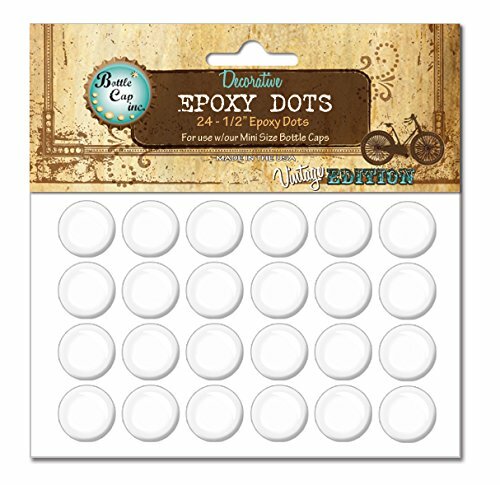 Color one of the epoxy circle stickers with a black Sharpie. Stick the epoxy circle to the center of the graduation hat, covering the hole where you inserted the tassel hanger. Put your cap onto your wine glass. 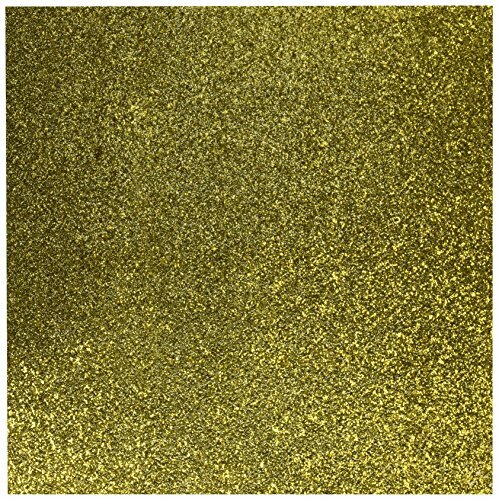 Using the Numbers Die Set of your choice, cut out the numbers for the graduation year from gold glitter paper using your die cut machine. 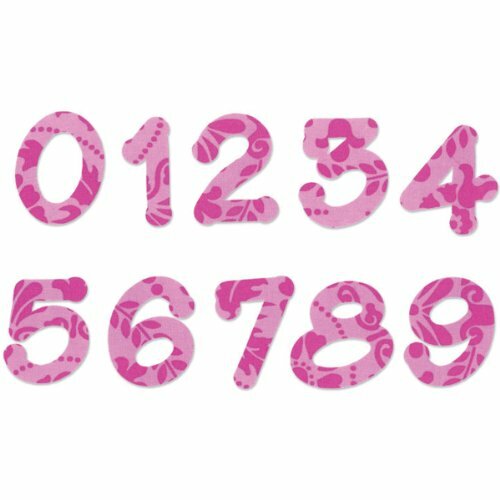 Glue the numbers to the hat base, referring to the picture for placement. To finish up these graduation cap candy favors, just cut a 12 inch length of coordinating ribbon and tie around the stem of the wine glass. And you are done! These graduation hat favors would be great to leave at each place setting on the table for a decorative touch or you could have them all together on a table so guests could grab one as they are leaving. For more graduation thank you gifts for guests, be sure to check out the rest of my ideas for graduation party favors. If you make any of these graduation hat party favors, you will have to be sure to come back here and let me know how they turned out. This is such a cute idea! I am actually in the midst of helping someone throw a graduation party for their son and I’ve been trying to find cute favors that are easy and not too expensive. These will work great for that. Thank you so much for sharing! My son will be graduating before I know it. I’ve pinned this idea! Thanks for the pin Ellen! And congrats to your son! What a cute idea. I have a son who is graduating in a month and I am going to use this idea. Thank you for sharing at Moonlight and Mason Jars link party. Thanks Amy! Congrats to your son! These are so cute and so easy to customize. So good to have you join us again at Celebrate Your Story! These are adorable! And it’s almost graduation time already! Cute, tank you for sharing,. Added to The Really Crafty Link Party Pinterest board. It would be way less expensive to make these graduation hat party favors yourself. They really are simple to put together 🙂 I have linked to all the supplies you need so you can make your own.